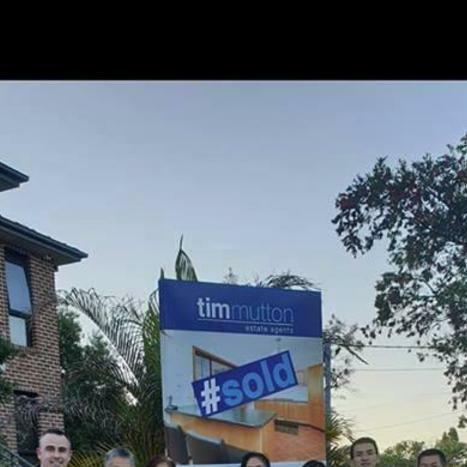 This is a testimony for Tim Mutton Estate Agents sold my property at 118 Sandakan Rd, Revesby Heights. I found Tim to be very helpful throughout the home selling process and he was always on call whenever I had any questions or worries concerning the house sale. He is very responsive and strived to get me the best results he could in a very tough and downward property market. In a very competitive real estate market where other agents were more concerned in what they could profit from you more in terms of there commission rates and upfront fess, I found Tims rates to be very reasonable & fair. I have no hesitation in recommending Tim to any prospective property sellers who will benefit from a positive experience when selling theie homes. I wish to express my heartfelt thanks to Michelle Austin and the team at Tim Mutton EA for the professionalism, diligence and thoroughness in being able to obtain a new tenant for my property in such a short space of time. Her attention to details in regards to my rights and obligations as a landlord were breathtakingly superior to my experiences with more well known real estate agent especially in the recent past. My hat goes off to Michelle and I wholeheartedly recommend her services to prospective landlords. We've been with several agents over the last 12 years to manage our investment properties and Tim Mutton Estate Agent is by far the best. Michelle and Tim go above and beyond to ensure the properties are managed fairly and in good clean conditions. We would not hesitate to refer them to friends and family. Thank you so much Michelle. "Renting made easier when Tim Mutton Estate Agents are involved. Michelle and the team successfully leased two of my investment properties, Marrickville and Cronulla, with a quick turn around between tenants"
Michelle, thank you for your support to find the right tenant for my rental property in a very timely fashion. Your knowledge of market and diligence of screening is evident in your approach and the thoroughness of process much appreciated. I look forward to a long partnership with you and your team. Tim and Michelle have been absolutely wonderful agents. I have been renting for a number of years now and have dealt with many Real Estates and by far Tim Mutton Estate Agents have been helpful. Both Tim and Michelle are extremely nice and have gone above and beyond for both my mum and myself to make the rental process as easy and uncomplicated as possible. Highly Recommend Tim Mutton Estate Agents. Tim Mutton Estate Agents have been managing my property for a number of years and I can not compliment enough their professionalism and efficient approach to any rental issue we have encountered during this time. Thanks to Tim and Michelle for taking care of my property and always making that extra step and effort to assist me as a client. Trevor LeBreton has been known to me professionally nine years. It is one thing to sell your own house, it is a different matter to sell another's home in this case my mother's. Trevor was always obliging, readily contactable and pro-active. Above all Trevor never raised false hope, was realistic, genuine and worked hard to get the result we expected. Overall, our family are most satisfied and would recommend Trevor & Tim Mutton Estate Agents unreservedly. Tim achieved the best result possible in selling my property. Tim kept me well informed during the process and always acted in a professional manner. I would recommend Tim Mutton Estate Agents for selling your property. Tim Mutton Estate Agents have been managing my property for a number of years and I can not compliment enough their professionalism and efficient approach to any rental issue I have encountered during this time. Thanks to Tim and Michelle for taking care of my property and always making that extra step and effort to assist me as the client. Tim Mutton Estate Agents have excellent communications skills and incredible property market knowledge. Tim helped my friends to sell their house within limited time frame and the outcome exceeded their expectations.Thank you for being patient with me and I also much appreciate your assistance in addressing all the issues and concerns so promptly. I wouldn’t hesitate to continue recommending you as agents to any of my family or friends. I own a rental property and was looking for a managing agent, I had met one of Michelle Austin's associates previously and was recommended by him to use her services, Michelle has many years of industry experience and has set up a new service under Tim Mutton Real Estate. Dealing with Michelle has been easy, she responds in a timely fashion, she is helpful with advice and market knowledge and nothing is too much trouble, she is very much across the process and makes it easy for me the owner. I would thoroughly recommend her services as a managing agent and would be happy to use her again.